Tired of tobacco taxes? Then the only answer is to grow and harvest your own tobacco! It's fun for the whole family and completely legal (as long as you don't sell it). Tobacco grows in every state including Alaska - or - you can even grow indoors. Each plant will generally produce enough tobacco for +/- 100 cigarettes. One of the qualities that make tobacco plants (members of the Nightshade family) so unique is that their size and characteristics will vary according to the climate and type of soil in which they are grown. Or in other words, wherever you decide to grow your tobacco plant will greatly affect how it looks; and the differences between the same plant grown in two different regions can be quite dramatic. For example, the commercial plant known as nicotiana tobacum will ripen to a yellow color when grown in the sandy soil of Virginia, yet the same variety when planted in the black soil of Louisiana will mature to a dark brown color. The size of the plant also varies from two to seven feet depending upon its environment. 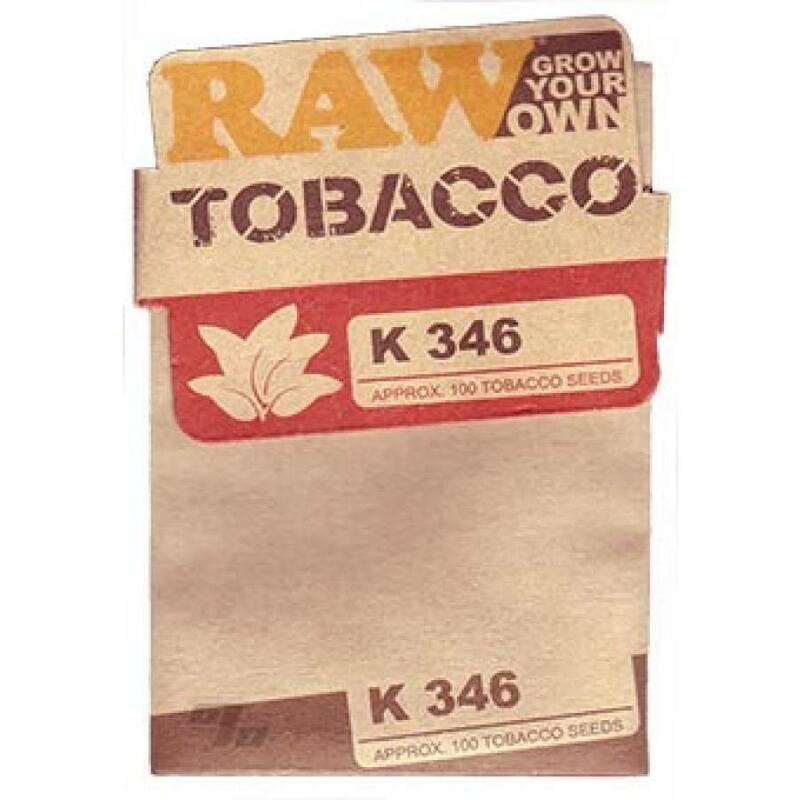 K 346 was released by Novartis Seeds, Inc. in 1989. It was developed from a cross involving McNair 926 (released as K 326) and a breeding line. It has high resistance to black shank and Granville wilt, is resistant to southern root-knot nematodes (races 1 and 3), and is susceptible to tobacco mosaic. Resistance to black shank is very high. K 346 has average yields and grade index. Tobacco plants are easy and even quite fun to grow since the process can be seen as an experiment to determine what kind of plant you will receive from your soil and climate. It is grown in every state, even Alaska. In the U.S.A. it is 100% legal to grow and process your own tobacco at home. Please check your country's laws if outside the U.S.A.